It's usually “admin” and a random password. 5. Click on Advanced Setup. 6. On the menu on the left, click on the WAN Settings link. 7. 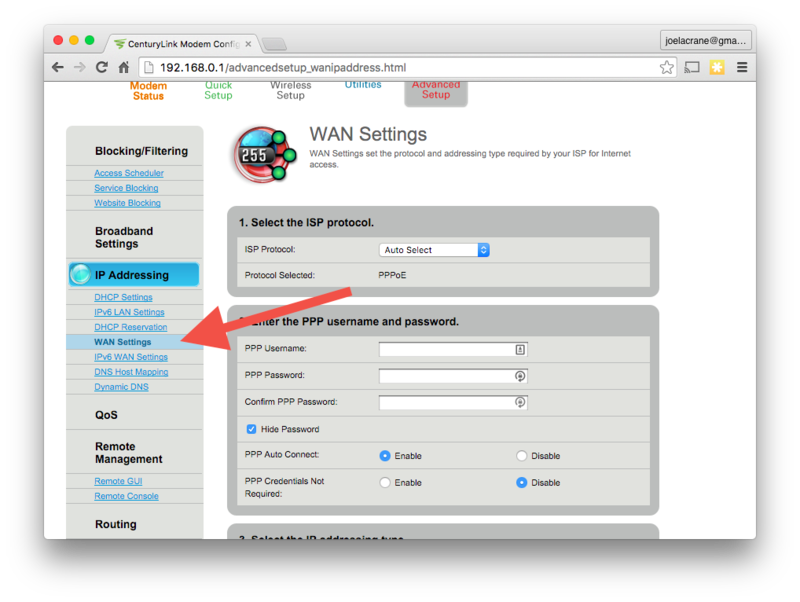 Find the ISP Protocol drop-down menu. 8. 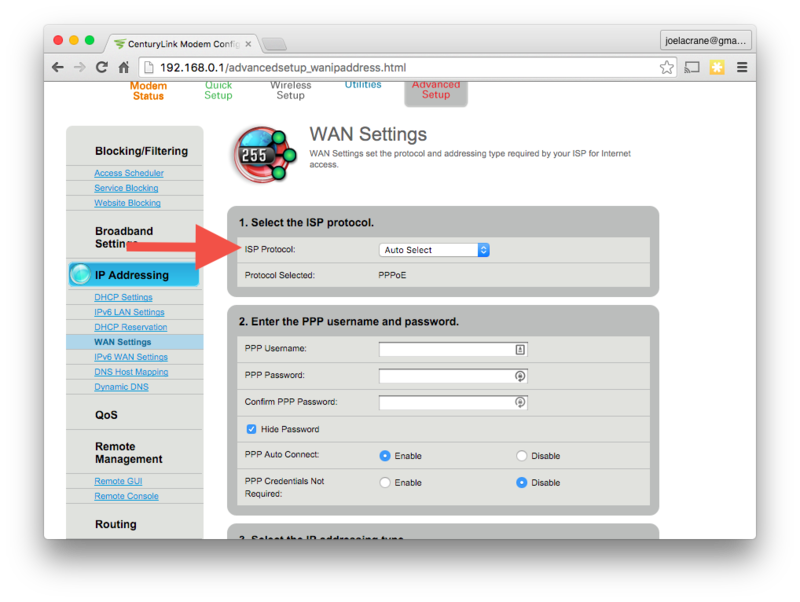 Select Transparent Bridging from the ISP Protocol menu. 9. Click the Apply button to save settings and reboot the rout... I mean, modem, since now it's really just a modem. Now that the modem/router combo is in “Transparent Bridging” mode, it's no longer functioning as a router, and is only functioning as a DSL modem. We are now ready to go configure our new router, which in our case is an Apple AirPort Extreme (but you can apply these concepts to any consumer wireless router). 11. 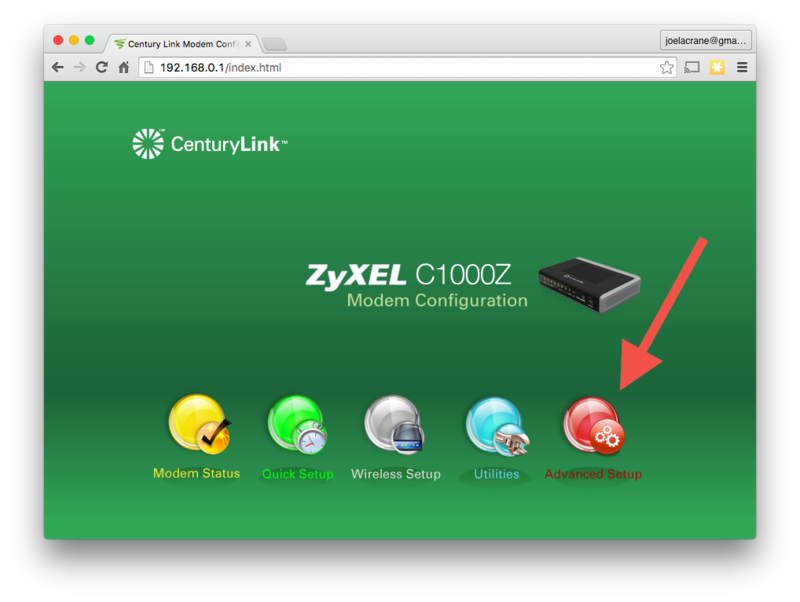 Unplug your ethernet cable from the modem, and plug it into one of the LAN ports on your new router. 12. Open the AirPort utility, and click on the Internet tab. 13. 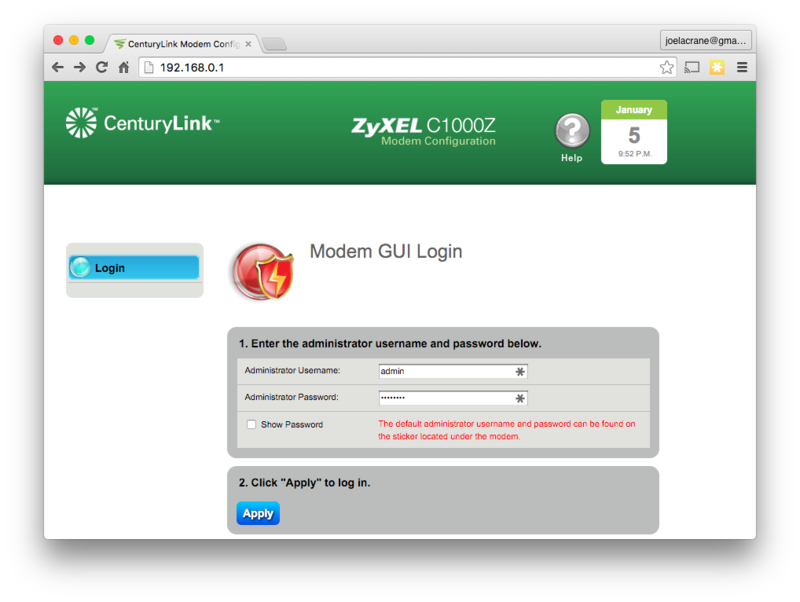 Change Connect Using to PPPoE, and using the CenturyLink account info we looked up earlier, fill in the Account Name and Password fields. 14. 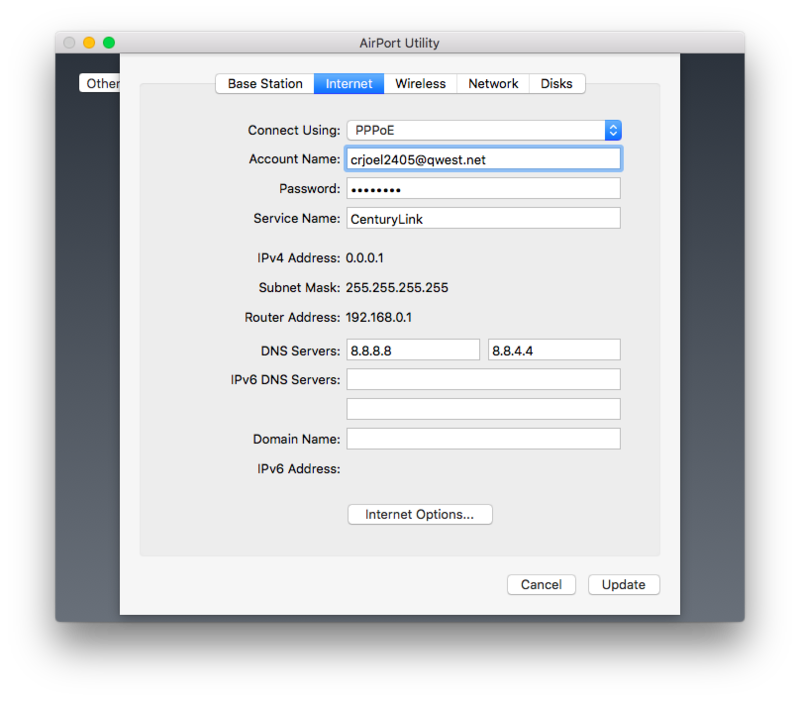 As a bonus step, change the DNS servers to 8.8.8.8 and 8.8.4.4, and configure your wireless network. Be sure to give it a name you like and enable 5 GHz. Note: When you are done with this guide, be sure to use inSSIDer to pick the best channel for your new router! 15. Click the Update button to save the changes. 16. Connect an ethernet cable from the AirPort Extreme's WAN port and port 1 on the modem. 17. The AirPort Extreme will tell the modem to dial in, and the light on the AirPort Extreme will turn green to say that everything is working. Connect via WiFi, and enjoy your new router!